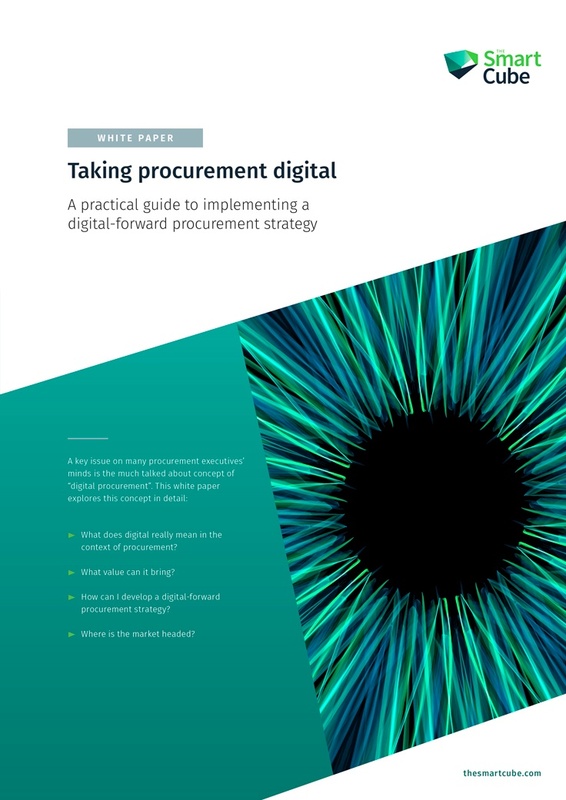 A practical guide to implementing a digital-forward procurement strategy. It’s a hot new buzzword and everyone at every conference is talking about it. There are promises – “digital procurement will transform your team and how you work with your stakeholders” – and there are threats – “digital will eliminate the procurement department in another 20 years”. As with any new development, there is a lot of confusion around it, and certainly plenty of questions: What exactly is digital procurement? Why is it important? How do I take advantage of it? Will it require significant investment? Do I need a digital strategy? How do I embed it into my plans? - What does digital really mean in the context of procurement? - What value can it bring? - How can I develop a digital-forward procurement strategy? - Where is the market headed?